Marriage is a time honored tradition that dates back to Adam and Eve. “Eternal marriage is a principle which was established before the foundation of the world and was instituted on this earth before death came into it. Adam and Eve were given to each other by God in the Garden of Eden before the Fall. It is the nucleus, the strength of which forms the family unit – ” until the wickedness of men turned from God and began their own way of living without the promises, religion, and ordinances of God. In the world today we have men and women who spend tens of thousands, even millions of dollars on lavish wedding ceremonies. With all their pomp and circumstance, with extravagant decorations and flowing gowns . 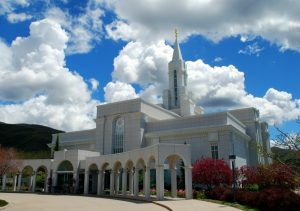 . . nothing compares to kneeling across the altar in a temple of the Lord and making sacred covenants to one another which are bound by the Holy Priesthood held by the sealer. You may be asking why Latter-day Saints feel as we do. Let me try to explain the sacredness and beauty of an eternal marriage. To us, marriage is eternal. When we fall in love, it is not only until we get a divorce or one of us dies. When that love begins to develop it is with the understanding that this is a union intended to last through eternity. I would hope that makes us a little more careful in the choosing and falling in love department. Civil marriage is an earthly contract, completed in the death of either party. Eternal celestial marriage is a sacred covenant between man and woman, consecrated in the holy temple by servants of God who hold authoritative keys. It bridges death; transcends time, stretches unbreakable into eternity. . . it includes both time and eternity. I know as my husband lay near death’s door my heart would have shattered into irreparable pieces had we only been married for Time, or in other words, till death. When Alvin and I met we were instantly attracted to one another. But we didn’t start dating for a year. He proposed within three dates, that was in 1984, and we did not marry until 1995. We were apart for 11 years. 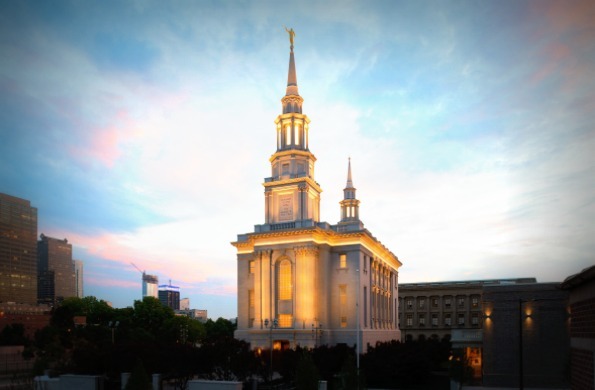 When the day came that we knelt across the altar of the Bountiful Temple, I was never more grateful than I was at that moment that the Savior had provided a way for us to be married throughout the eternities. How dismal life would be if I had to say goodbye to my sweetheart forever? To have spent decades building a strong, loving relationship to have it end at death? That makes no sense. Truth is reason, and reason states that when married with the proper authority, within the walls of God’s holy temple, this marriage will last. This is the purpose of Temple Marriage . . . a single familial chain formed from you and yours back to Adam and Eve, including all the children of God who choose to follow this path. So my question to you is this: How much do you love your husband? Your wife? Your children? Do you want to be with them for eternity? The Lord has provided the way. Will you follow Him? The Wedding Dress… Finding Gratitude in the Small Things Equally Yoked To Thine Own Self Be True? Self-Awareness and Marriage?